ice, Emirates’ award-winning inflight entertainment system has reached a new milestone of over 4,000 channels of on-demand entertainment. The catalogue includes over 1,000 movies, more than any other airline, popular television box sets, tens of thousands of music tracks, podcasts, and games. With a global customer base, Emirates offers entertainment in 44 languages and each month over 100 movies are added to the system. 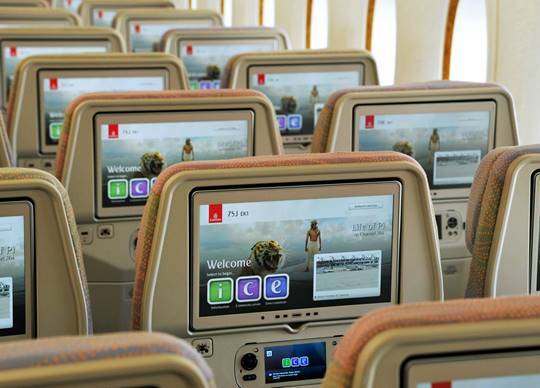 Emirates ensures its youngest customers are catered for with a large selection of children’s movies and TV channels. In addition to over 75 Disney, Marvel, and children’s movies, there are also over 50 TV channels, including Cartoon Network, Nickelodeon, CBeebies & the Disney Channel. The Emirates app is a one-stop travel companion allowing customers to book flights, hotels, car rentals, tours, and attractions. 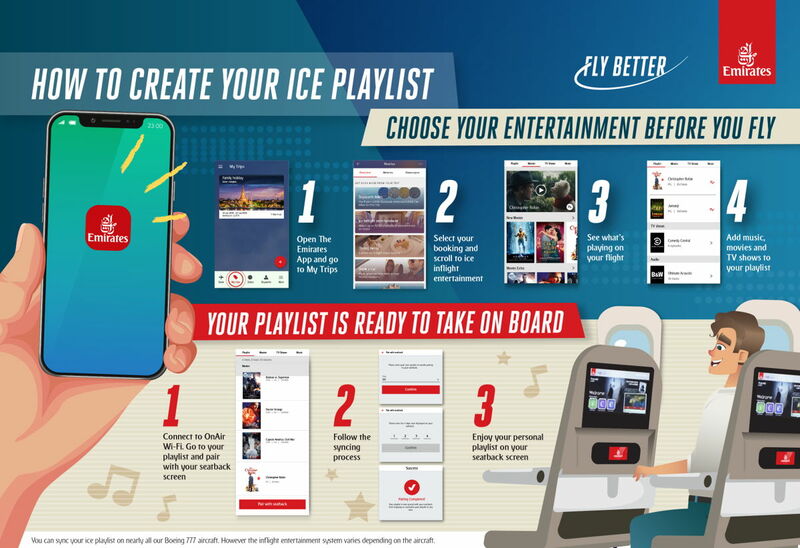 In addition to the ice catalogue, travelers can browse through their flight’s menus and wine lists up to a month before the departure date. The Emirates app also features 3D seat maps which allow customers to navigate the interior of the Emirates A380 and the Emirates Boeing 777 during seat selection and explore the spacious cabin before they board. The Emirates app is free to download on iOS and Android devices.